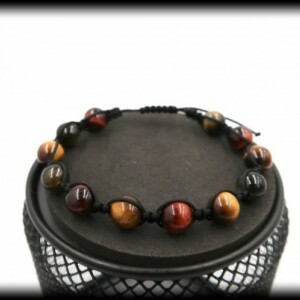 Show him know you love him by presenting him with this handsome, stylish, and protective macrame piece. 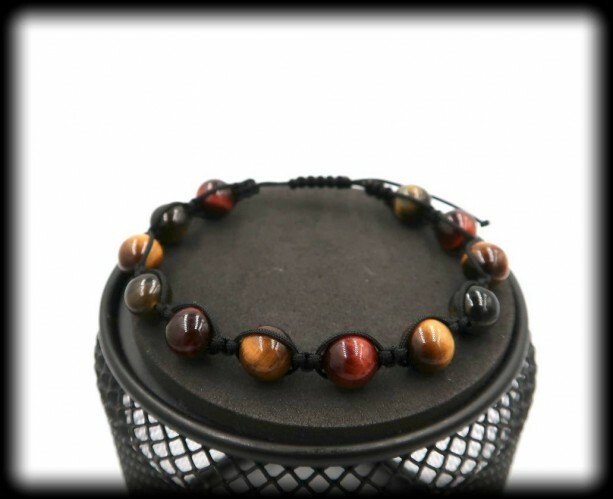 Handcrafted with the multi-colored stone (blue, green, red, yellow) of Tiger's Eye. 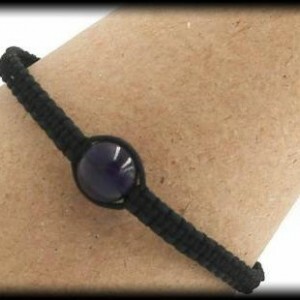 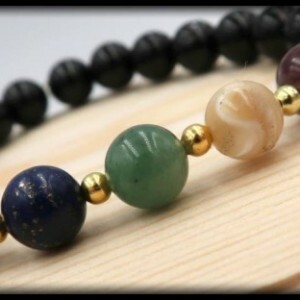 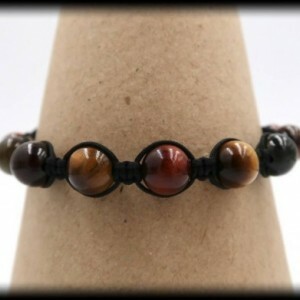 It aids to promote clarity of intention, balance emotional energy, and alleviates depression. 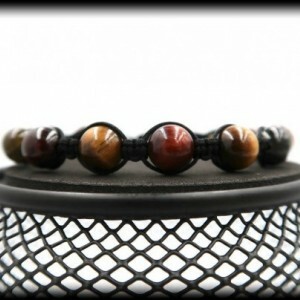 This is also a great stone when it comes down to reducing your fears and anxieties of whatever may be holding you back. 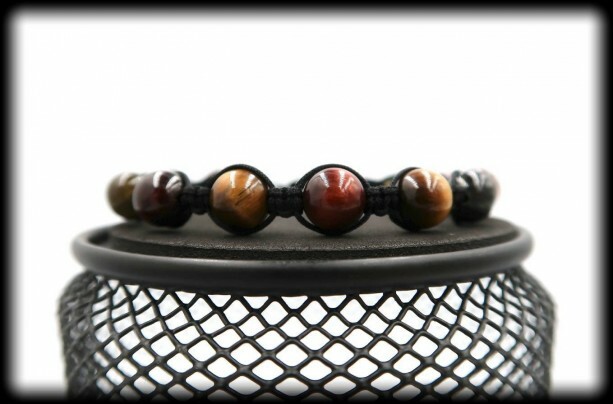 Known for being a protective stone, it allows one to lift bad moods, balance emotional energy, and promotes clarity of intention. 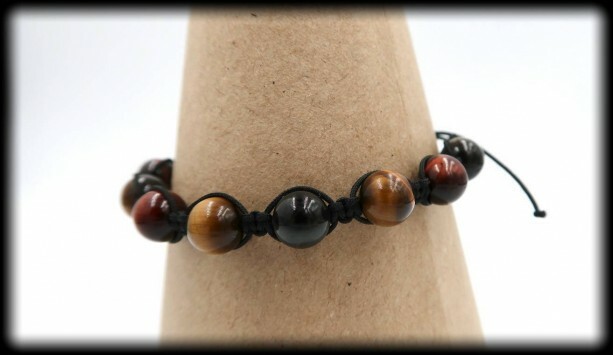 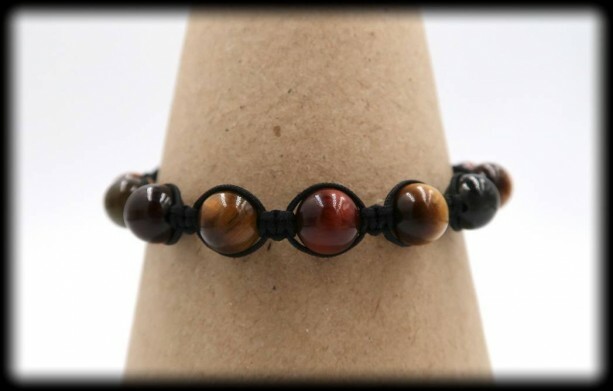 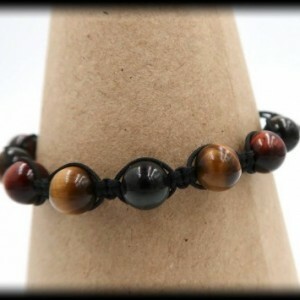 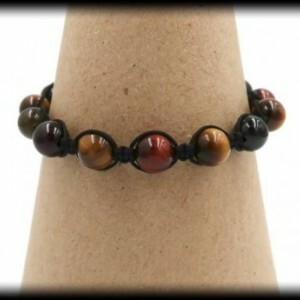 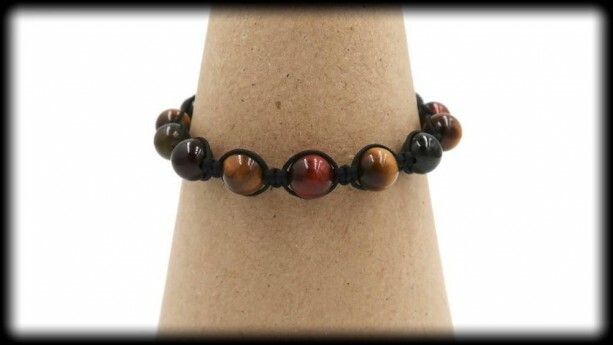 This prized item contains 8mm beads Multi-Color Tiger's Eye.